Bitcoin is back in the news again following last month’s epic crash in which it lost 70 percent of its value in two days. This week, the online currency was at the center of a video game zombie operation and a $75 million lawsuit between a Japanese exchange and a Seattle startup that provides Bitcoin services to American merchants. The recent events are the latest in a never-ending series of crimes and controversies tied to Bitcoin, which is mined by computers and can be used for payments or exchanged into dollars and other currencies. The money is popular with libertarians because it isn’t subject to deflation by central banks, but has also been criticized for attracting criminals and hackers. The controversy raises the question of whether America’s leading financial regulator, the Securities and Exchanges Commission, will attempt to control the spread and use of Bitcoin. “We are declining comment,” said an SEC spokesman by email, in response to questions regarding whether the agency had a position on the currency or if it had jurisdiction over Bitcoin trading in the first place. The silence may be due to the fact that the SEC can exert little regulatory control over Bitcoin. According to Dan Nathan, a securities lawyer at Morrison & Foerster, the agency can oversee trades of financial instruments like stocks and bonds but, for the most part, not currencies. Nathan said the SEC could exert indirect control through imposing capital requirements on trading houses that hold Bitcoin, but any direct trading regulation would likely be restricted to the Commodity Futures Trading Commission (CFTC) — a separate agency that overseas futures contracts. Major financial firms like Goldman Sachs and Morgan Stanley have reportedly been visiting online Bitcoin exchanges as often as 30 times a day, but have refused to comment about whether they are holding the currency. The only direct attempt at regulation by the U.S. so far has been guidelines issued in March by the Treasury Department’s Financial Crimes Enforcement Network (FinCEN), which targets money laundering. Want to learn more about Bitcoin and whether it’s viable as a mainstream currency? 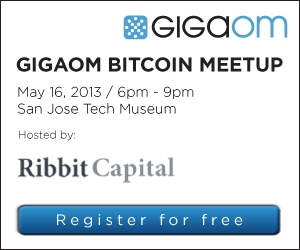 Join us on May 16 in San Jose where engineers from Google and Facebook, and executives from Expensify and Lemon will share their perspectives — it won’t cost you a single Bitcoin. Until the price of fiat stabilises against Bitcoin (1 Bitcoin is still 1 Bitcoin, just as an ounce of Gold [save the fake stuff dubbed XAU] is still an ounce of Gold [which too would suffer the same issues were it to be traded traded physically as Bitcoin is traded digitally] ) it will be treated as both a currency and a commodity. Bitcoin prices value wildly during the course of a single day. What good is a currency where you have to figure out how much the currency costs before you could possibly use it to spend on something? The Bitcoin speculation has completely destroyed it’s utility as a currency. We aren’t really talking about a currency anymore. All you news writers need to get a handle on this aspect of it. The government and Wall Street will take it over at some point but it’s fun to see them struggling for awhile. But they will just make whatever laws and regulations are necessary to keep BItcoin marginalized or to get them as the major players in the Bitcoin game. The problem is that BitCoin operates just like any other legitimate, state-sponsored currency. If you want to make trades in BitCoin illegal, you’d set a precedent that would effectively penalize any currency trade.